The rule in our family when my father started the family tree was that you had to be related to his grandchildren. My husband's family from Tscherwenka has already been added. Now that my sister has two daughters it is time to add her husband's family. My brother-in-law's grandfather was from Mercydorf and his grandmother from Futok. It is his grandfather's family that I am currently seeking. Johann/John Scharnovsky emigrated to New York on August 26, 1913 from Bremen on The Rhein at the age of 14. He was accompanied by his father Mathias Scharnovsky age 50, occupation musician, marital status Widowed. They both list their birthplace and last residence as Mercydorf. Nearest relative/friend in Mercydorf is Franz Kraus. They are going to Mathias' son-in-law Johann Meyer in College Point. I have come to learn that Johann Meyer was actually a 'step' son-in-law. Mathias was married to the mother of Johann Meyer's wife Elisabeth but apparently it was not their first marriage. Johann had two sisters, Eva and Teresa Scharnovsky. Eva emigrated to New York on August 8, 1908 from Hamburg on The Blucher at the age of 16. Teresa emigrated to New York on February 26, 1906 from Fiume on The Carpathia at the age of 13. According to John Scharnovsky's Draft Registration Card in 1918, he lists his birthday as May 27, 1899. His occupation is mechanical dentist and his nearest relative is his sister Eva Zerener in Montvale, New Jersey. According to his Declaration of Intention in the Court of New York County (Manhattan) in 1918 he lists his birthday as May 29, 1899 and his birthplace as Temesvar, Hungary. He did not complete the process of citizenship in New York County. 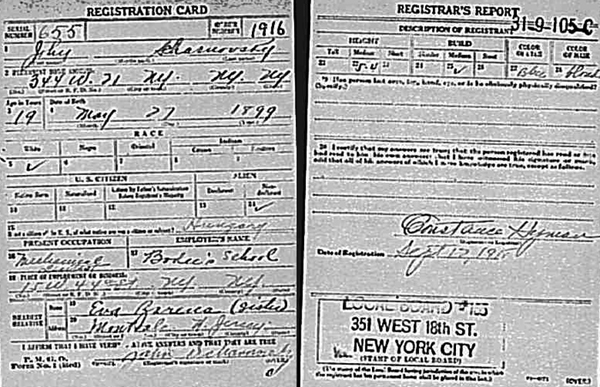 According to his wife Anna's naturalization in 1940, John was naturalized in Kings County in 1925. John married Anna Schwartz from Futok in New York on June 17, 1922. They had two daughters. On the 1930 census John and his family were living in Bergen County, New Jersey. John was a piano builder. 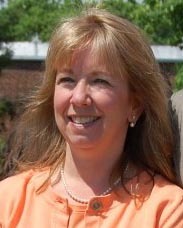 Eva Scharnovsky married Joseph Zerener. It appears that Joseph was also born in Mercydorf and his last residence was Giseladorf. He emigrated to New York on April 4, 1910 from Hamburg on The Kaiserin Auguste Victoria. His nearest relative was his mother Rosalia in Giseladorf and he was joining his brother Albert in College Point, NY. I don't find any children for Eva and Joseph Zerener.